My name Chong Yoke Lan, or Lan Jie to my clients, and I have worked in the confinement care industry for 10 years. 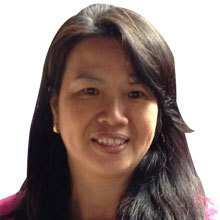 I am a gentle, caring and dependable nanny who is well-versed in Mandarin, Hakka and Cantonese. I have had experience working for a nanny agency before becoming a freelancer. I am an excellent cook who is able to prepare Traditional Confinement food such as Black Chicken soup with American Ginseng and Carrots and Steamed Fish with Lily Buds and Black Fungus. Even though my care role is that of a full-time confinement nanny, I will do simple household chores to ease the burden on new mums. I recently cared for a baby who was premature and prior to that, I took up a job that lasted for 3 months. Good at what I do, I was booked to care for 8 different families in the past year. I enjoy doing what I do and guiding new mothers on the most important journey in their lives. I will be available from April 2017 onwards.